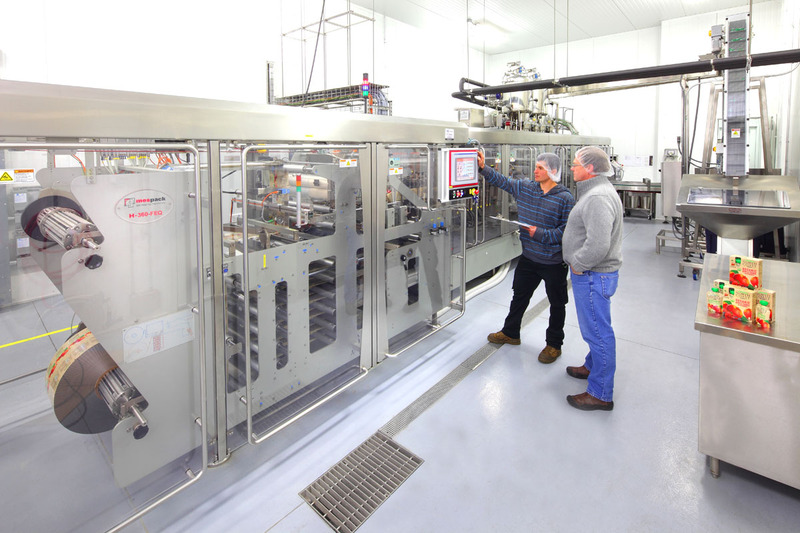 15000 Inc. HVAC and Plumbing Engineers designed the new food production line at Manzana Apple products in Sebastopol CA. | 15000 Inc.
Manzana Products Company is a historic apple cannery nestled in Sebastopol’s Green Valley. For over 80 years, apple sauce, apple juice, and apple cider vinegar have been produced in this little corner of the world. The production of the apple products has changed very little since the founding of the company in 1922. That is, until Manzana decided to push the company into the forefront of one of the hottest apple products on the market today. The concept of placing apple sauce in single serving, re-sealable, pouches has become a boon to the industry. 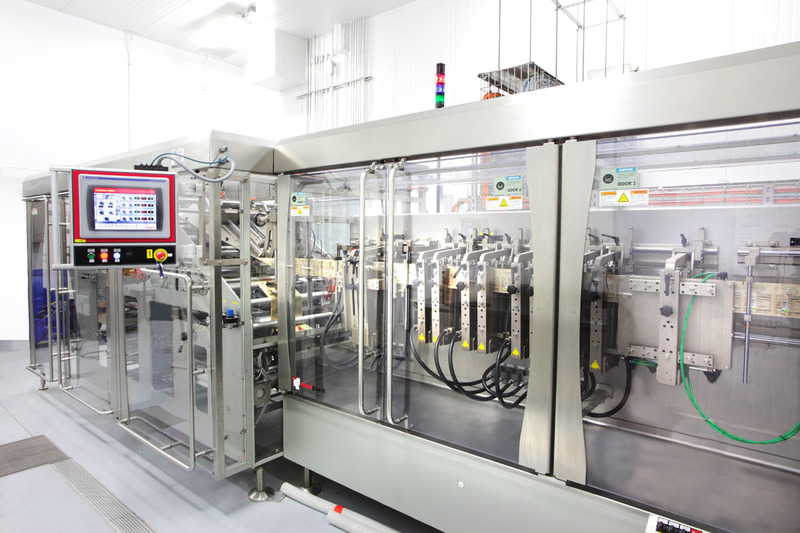 Manzana’s new multi-million dollar Apple Pouch production line presented original design challenges for 15000 Inc. A portion of the line needed to be housed in a room which needed to be maintained at a near boiling temperature of 195 degrees! An adjoining room needed to be maintained at 45 degrees. These rooms needed to take in the process loads of the apple pouches moving through these spaces. Working closely with the owner, the contractor and performing in-house product temperature experiments, 15000 Inc. was able to design a space that met the Department of Health requirements – and the production requirements of Manzana Apple Products.